A pain relief kit, made up of Biofreeze, Kinesiology Tape, Thermal therapy, and stretching/strengthening exercises, evaluated the use of a nonpharmacological kit for neck and low back pain for patients to self-manage their pain. Patients who used the pain relief kit improved their outcome measures between baseline and 3 weeks. They also were able to perform functional tasks with less pain. Additionally patients reported less daily pain, fewer days in pain per week, and less medication consumption per day. Chronic neck and back pain lasting over 3 months is a significant source of disability. Recent recommendations for treating chronic pain indicate nonpharmacological interventions be initially prescribed. 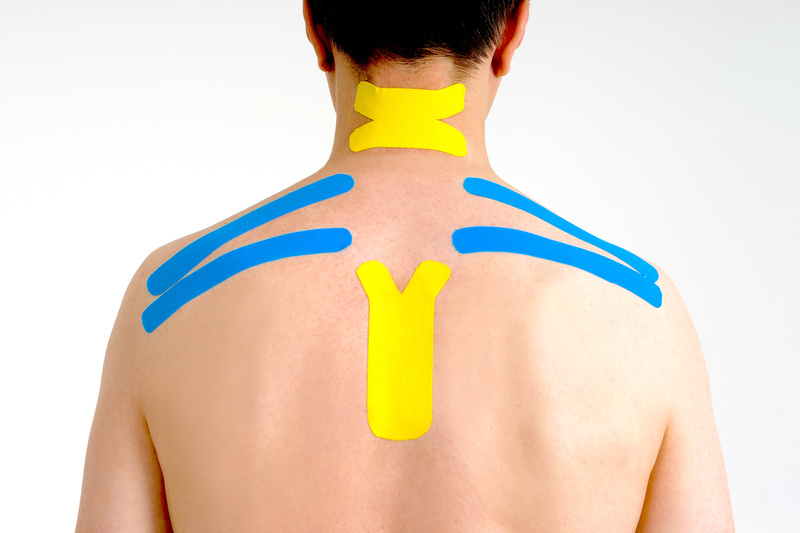 Topical menthol, elastic therapeutic tape, thermal therapy, and exercise have been found to be effective in reducing musculoskeletal pain. The pain relief kit described here includes these nonpharmacological interven2 tions for patients to self-select their pain management. The purpose of this 3-week study was to determine the effect of a multimodal, nonpharmacological pain relief kit on pain, functioning, and pain medication consumption in individuals experiencing chronic neck and/or low back pain. This is a repeated measures single observational cohort study. Study participants included 25 volunteers with moderate intensity (>3/10) chronic neck and/or low back pain. Subjects completed baseline data collection and then received a pain relief kit. This kit included a brochure, product samples, and a description of how to use the four nonpharmacological interventions, including topical menthol, kinesiology tape, thermal therapy, and 3 stretching and 3 strengthening exercises to be performed using elastic resistance. Data were collected at 3 points—before giving the kit (baseline) and at 1 week (T1) and 3 weeks (T2) after giving the kit—using the Modified Patient Specific Functional Scale (MPSFS), Medical Outcomes Survey (MOS)-36, and by assessing their ability to complete 4 functional tasks and pain intensity while completing the tasks. Furthermore, all participants used a daily log to enter the rating of their pain, document the interventions used from the kit, and the number of pain medications they consumed. There was a significant (P < .05) improvement between baseline to T2 in MPSFS and the MOS Physical Functioning and Energy/Fatigue scale. Also, between baseline to T2, the subjects reported improvement in performing 2 functional tasks and significantly less pain while completing all of the functional tasks. Finally, over the duration of the study, subjects reported significantly less daily pain, fewer days of pain per week, and less pain medication consumed per day. The use of nonpharmacological interventions provided in the pain relief kit allow chronic neck and low back pain patients to effectively self-manage their pain, improve their ability to perform functional tasks, and reduce their pain medication consumption.